Take 4 turnips, peel and slice into French fry size strips. Toss with 2 tsp. olive oil and add seasonings you like (I use sea salt, garlic powder, and Mrs. Dash extra spicy). Lay out on a baking sheet and bake at 400 until lightly browned. They will not become crispy as they dehydrate, but they will have a consistency like McDonald’s fries. 🙂 Enjoy! 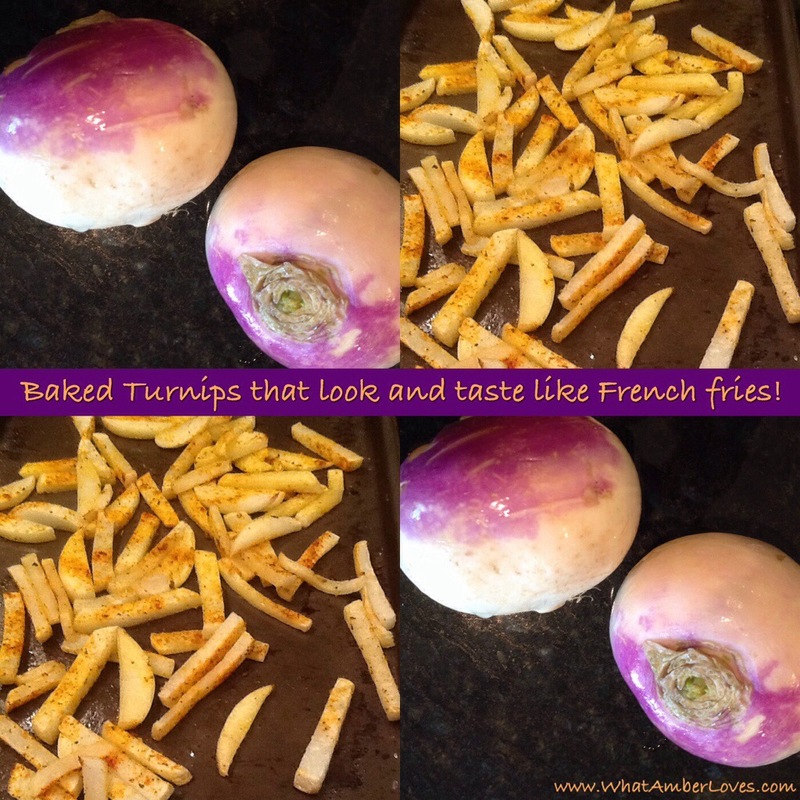 Posted on April 23, 2014, in Uncategorized and tagged french fries, recipe, side dish, turnip, turnip fries, vegetable. Bookmark the permalink. Leave a comment.